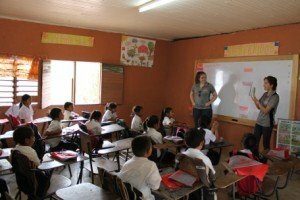 For the third year in a row, we were proud to sponsor a service learning trip to Honduras for students from the Ohio State University. 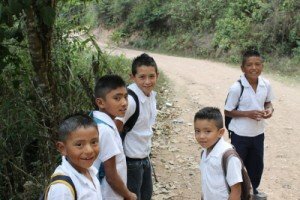 We’ve been working with the remote mountain village of El Socorro de la Penitas since 2011, and the Friend2Farmer coffee produced by local villagers is served on the university campus. Upon arrival in Honduras, the students visited the Honduran Coffee Institute (IHCAFE) laboratory in San Pedro. 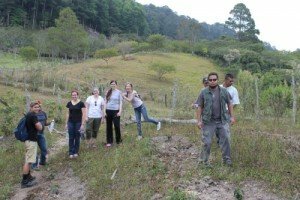 They learned how this organization regulates the coffee industry in Honduras, promoting excellence and sustainability in coffee cultivation and processing. On day two, the group arrived in El Socorro, where they toured a smallholder coffee farm and wet mill owned by David Lopez, a local community leader who allows other local farmers to process their freshly harvested coffee cherries at his mill. In the afternoon, they helped Lopez build a solar coffee dryer. The solar dryer gives Lopez greater control of the coffee-drying process. As a result, coffee dries more consistently. The next day, the group toured a coffee dry mill, which removes parchment from the outside of green coffee beans, sorts out defects and packages coffee for export. After lunch, they met with teachers and students at the community’s Jose Cecilio del Valle elementary school, which serves over 70 students. They participated in classroom sessions and engaged students in learning activities, songs and games. They also discussed the school’s challenges in setting up a program to teach English and agreed to send materials back to the school. At the end of the session, they took students outdoors to play with balloons, soccer balls and jump ropes that we donated. 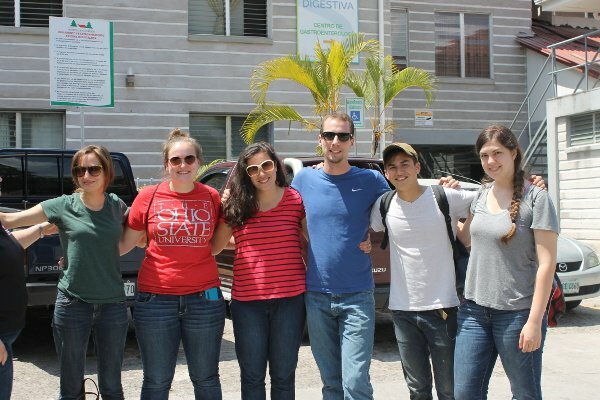 The final day featured a trip to the community hospital in nearby El Carrizal. To help the local community treat respiratory illnesses, the group assembled six nebulizer machines, which administer medication as a mist inhaled into the lungs. The need for nebulizers was identified during a previous trip, and this year’s students came prepared with plans and materials provided by Engineers Beyond Borders. They also taught the local medical team how to build their own nebulizers.